Hi. I have just ordered the kit from Tower Hobbies, so it will be a few days before it gets here once they process the order. I will put up some kit pics when it arrives. I won't be starting it right away. I have to scrounge up enough for paint and supplies. I will keep you posted. Hi folks. 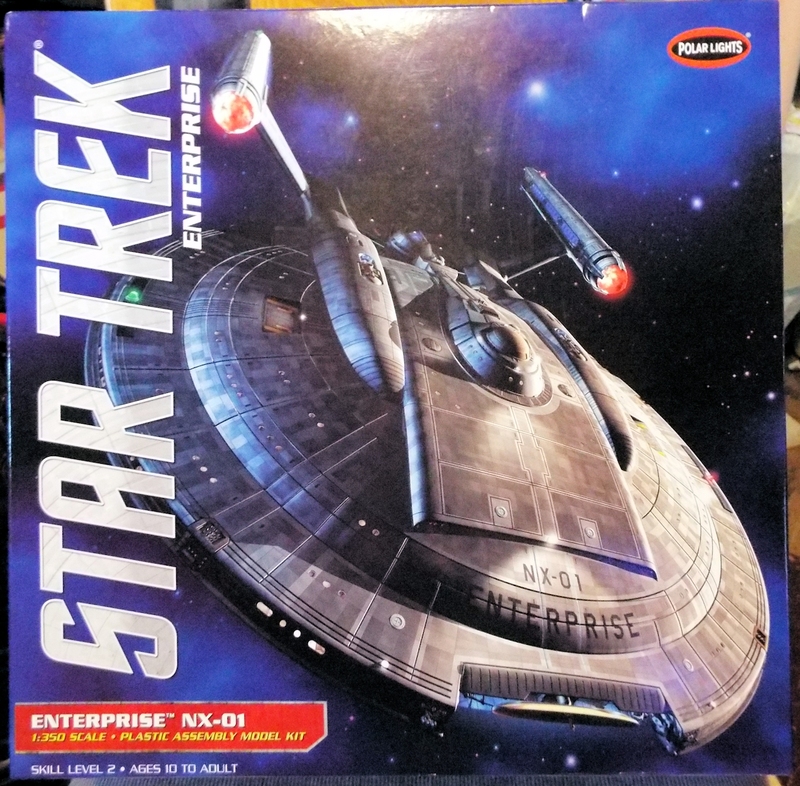 I am starting to get together the supplies I am going to need and I was wondering if anyone could give me some advice on the paint colors for the NX-01. I have done the small scale refit version of the NX-01, but I never felt that the color callouts in the instructions were completely accurate. I went back on Netflix and have been re-watching the series and I am still not sure. In some episodes, the hull looks almost metallic, while in others it looks like it's painted in various shades of gray. 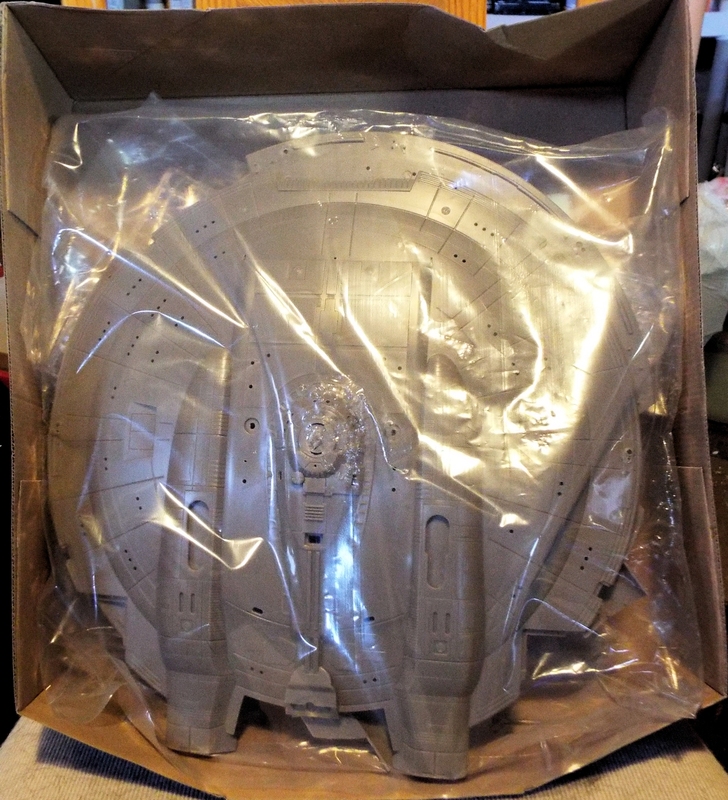 Has anyone done the large 1/350 NX-01 who could give me some advice on the correct colors? 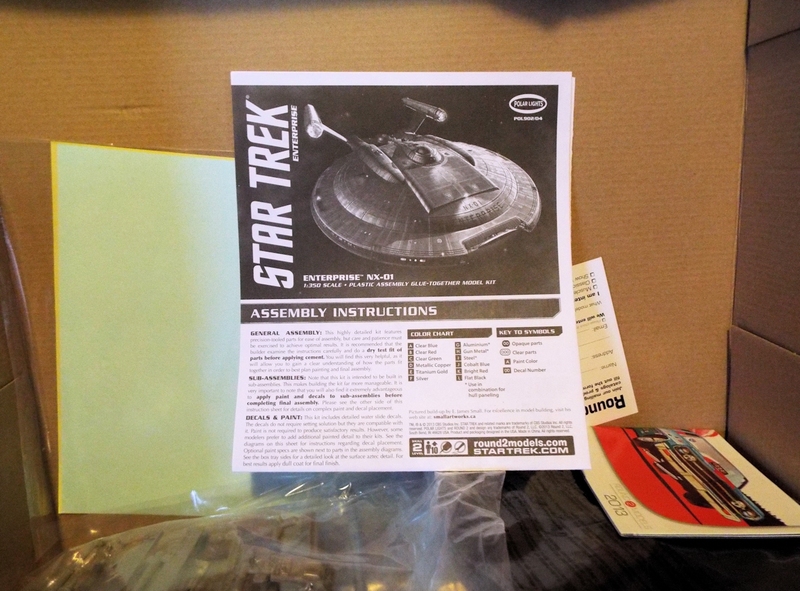 I am also going to be picking up some paint for another kit I have in my stash that I am not sure of as well; It's the DS9, U.S.S. Defiant re-release from Round 2 AMT. I did this kit a long way back, about 8 years. It was the original first release, and I wasn't happy with the color list on that one either. It calls for the basic color to be Dark Ghost Gray which I always felt was somewhat off. If any advice could be found for those colors as well, it would be appreciated. I hope someone can help. Thanks in advance. This is probably the most ambitious ion the contest so far! Excited to see a build up of this ship. Okay here we go. The Kit arrived today and I actually had most of the paints for it. I only had to order Titanium and Cobalt Blue. It's a big kit. Looks like the final size will be around 2 feet. Here are some images.. I hope these come out okay. I hope to be startign the first subassembly tonight. I did note that the panel lines are kind of large, but I don't know if I want to try and fill and re-etch them. My hands just are way too shaky most of the time. We'll see how they look assembled. I am going to try and light this one. I have plenty of LEDs, I just wish the nacelle spinner aftermarket mod kits weren't so darn expensive. Last edited by sparrowlord01 on Sat Mar 01, 2014 12:38 am, edited 3 times in total. Why do my images keep disappearing from the post I sent them in??? I think I have the images fixed. Please let me know if anyone has issues viewing them. Thanks. All looks good on this end. Looks good to me. I have one of these kits in the basement. 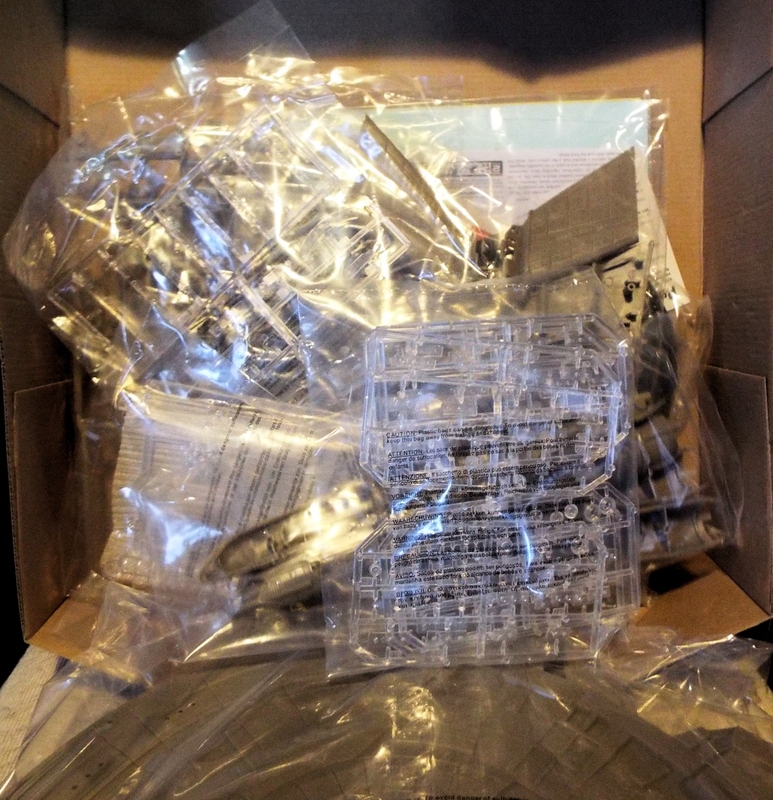 I havent broght my self to building it yet though. Look forward to seeing your progress. Yeh. Murphy's law just kicked in. I masked the upper and lower saucer sections to paint the inside black for light masking, and discovered afterwards that I didn't have any Flat Black paint left. So now I am sucking up to the Mrs. to see if I can get her to make a trip to the store for me. lol..... I usually use a coat of flat black, then a coat of chrome silver inside. I usually get pretty good results. 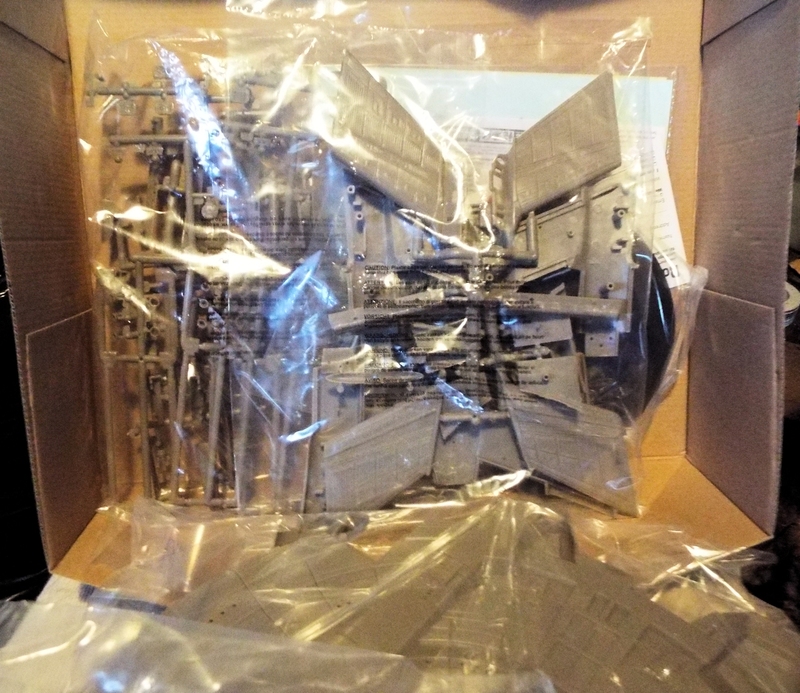 The kit is fairly well designed, but there are a lot of pieces with thick flash on them. It's really testing my trimming skills since they are in spots that are hard to get a sanding stick into.. Or my fingers for that matter.. I'll get soem more pics once I get the black coat down. I thought as part of the OOB beginner contest we couldn't do lighting?